The PCE-T390 digital thermometer is a digital device with four input channels for type K and type J temperature sensors and two input channels type Pt100 temperature sensor. The PCE-T390 digital thermometer has an internal memory through a SD card (from 1 to 16 GB). 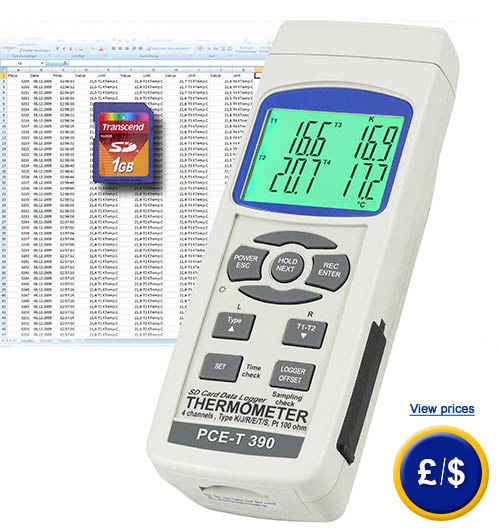 Data is registered in the memory card (xls format) of the PCE-T390 digital thermometer so any additonal software is required for further analysis. 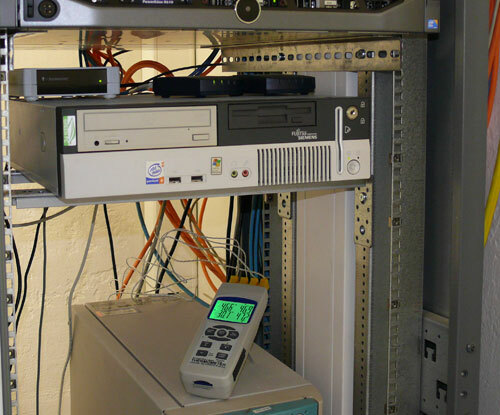 The optional software of the PCE-T390 digital thermometer, which comes included with a RS-232 cable, allows the user to store values so that this data can be transferred to a computer for further analysis. Time intervals can be programmed for using the digital thermometer as a data logger ensuring that all readings get stored over an extended period of time. The PCE-T390 digital thermometer can be used to measure online or as data logger. The display of the PCE-T390 digital thermometer simultaneously shows the four channels temperature (when they are connected to the corresponding sensors). The PCE-T390 digital thermometer can be used as a handheld device in situ or as a data logger for monitoring temperature fluctuations over a period of time. The PCE-T390 digital thermometer can be used in an almost unlimited capacity in maintenance, conservation, machine diagnostics and quality control. The PCE-T390 digital thermometer can also be used for measuring in real time or as a data logger. 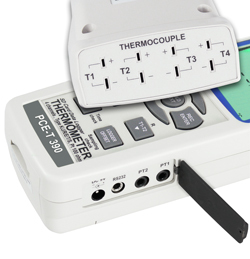 Type-K, J and PT100 temperature sensors can be connected to the PCE-T390 digital thermometer. Here you will find a selection of type-K temperature sensors. 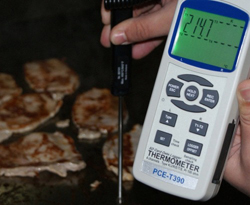 The PCE-T390 digital thermometer can be DIN ISO calibrated, including a corresponding control certificate. At the following link you will find another type of digital thermometer. Here you will find another digital thermometer with one channel, memory, RS-232 interface and software. The digital thermometer shuts off after 30 minutes of inactivity. This function can be disabled. 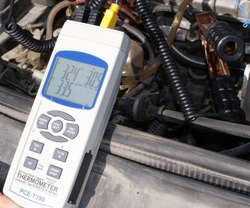 The digital thermometer measuring temperature in a car engine with a temperature sensor. 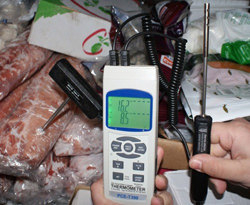 The PCE-T 390 digital thermometer measuring refrigerated products in a cooling chamber. 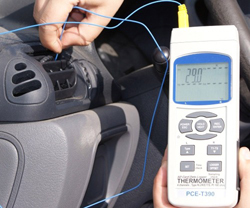 The PCE-T 390 digital thermometer measuring the heater of a vehicle. PCE-T 390 digital thermometer can be configured via the keypad or by using the software. Data and time are stored in the SD memory card as a xls table. 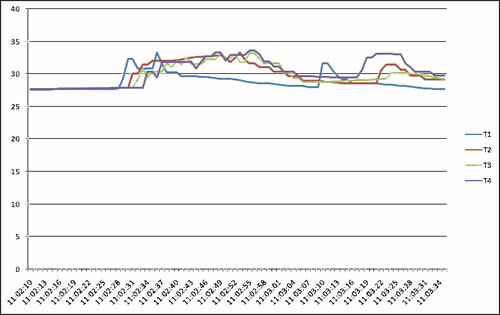 Data can be shows graphically or in spreadsheet format on the digital thermometer or via the software. 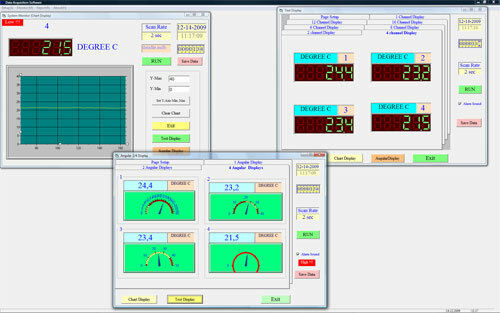 With the RS-232 cable of the PCE-T390 contact thermomenter optional software values can be registered for further analysis. For companies that wish to incorporate the PCE-T390 digital thermometer into their internal quality control system of tools or for annual calibrations. The certification meets ISO standards and includes a laboratory calibration and a certificate which contains the measurement values. It also indicates the Company name and address or the person who ordered the device. The software is used to transferred data form the PCE-T390 contact temperature to a computer or laptop. 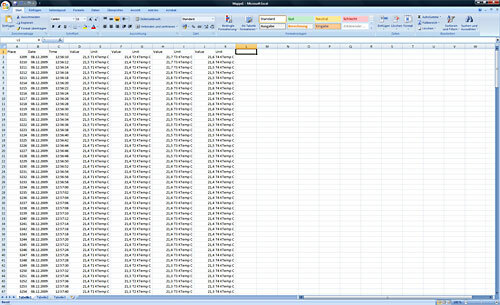 These measured values can be also transferred to other calculation programs such as MS Excel. Connection cable is included in the delivery. Mains adapter for the PCE-T 390 digital thermometer (230V/50Hz). To measure temperature over a extended period of time. Contact us and our technical staff will advise about the temperature sensor that best suits your needs. This page in German in Italian in Spanish in Croatian in Turkish in French .